House of Flavors gets world record! House of Flavors gets world record. LUDINGTON — House of Flavors restaurants found out today that it has achieved the Guinness World Record for longest frozen dessert. The attempt was made on June 11, 2016 when an eight block sundae was created by several thousand people. 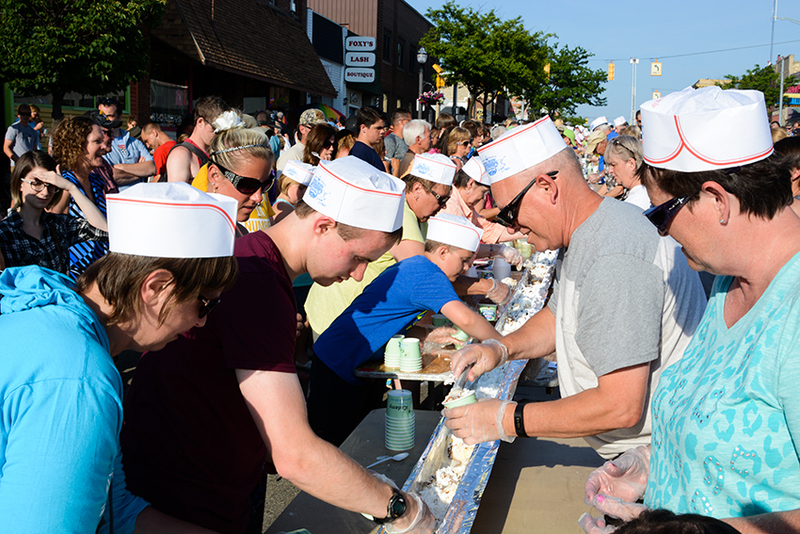 The longest ice-cream dessert measures 905.48 m (2,970 ft 8.95 in) “This record was attempted in order to highlight the city of Ludington and its ice-cream manufacturing heritage. The House of Flavors is frequented by locals and visitors and they would like this attempt to show their pride in their city and in this local business,” Guinness stated on its website. “We were thrilled to celebrate our community in such a sweet way on June 11, 2016 with our world record attempt for the longest ice cream dessert,” said Barry Neal, owner of House of Flavors. “The outpouring of enthusiasm, volunteerism, and community pride for our Love Ludington weekend is something downtown Ludington and House of Flavors will remember always.